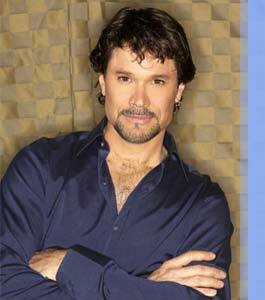 The Diva of Days of Our Lives: Diva Interviews Peter Reckell! We are happy to announce that we will be interviewing former Days of our Lives Daytime Emmy nominated lead actor, Peter Reckell (Bo Brady) on our Blogtalkradio show on Monday, October 21st at 10 pm est! This wil be a live, call in show. We encourage fans to call in to talk to Peter. Call in at 914.338.1239 then press 1 to talk to Peter or press 2 to just listen to the show. Your calls will be screened prior to you going on air. Fans can also join us in the chat room during the show on our Blogtalkradio show page. Hope I get to talk with Peter it would be an honor! Ask him what his favorite Days memory is. Ask him what his ideal non-Days acting job would be. Ask him if he's got any prospective acting gigs on the table. I could less about him, just kill Bo off already as for true fans of Bope leaving the show if they were true fans of the pair they would still be watching.